Herrick's self-made 2012 debut album, "New Dance" confirmed that the band had no interest in following trends but was instead in pursuit of timeless expression as it forged its identity. With nonstop roadwork, flexing their musical muscles, confirmed that they were in it for the long haul. 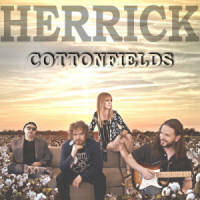 Now, four years after hitting the radar, Herrick take an exponential leap with the widescreen opus Cottonfields. With this musically combustible and conceptually dazzling work, the Nashville-based band forcefully takes its place alongside the best of its peers while building on the rich legacy of its own inspirations. During this a la carte age, Herrick has boldly pushed against the current, making a bona fide album that demands to be heard in its entirety. "I think what people love about us is the energy we generate playing together and feeding off each other," says Donna. "There's a lot of drive in our band, and we managed to capture that on this record. We love the music that we cut our teeth on and it'll always be part of us, but we've reached the point where we're consciously trying to push things forward." Cottonfields was produced by Herrick and veteran producer David Walker. Donna alongside husband/bass/Songwriter/band founder Kerry Herrick, the band's guitarist/songwriter Jefferson Rogers, Drummer/songwriter Jeff Bradshaw, Herrick commenced recording the album. The band tracked the majority of the record live off the floor at WME, Walker's studio in La Verge, TN. 30 miles south of Nashville. "We met David early in our career. We were only 16. We had been long-time songwriting partners but we always knew we wanted to make this record with him," says Donna. "He totally gets us. He brought the perfect balance of sonic integrity and laid-back finesse." The feeling is mutual. "Donna is a vocal superhero," says David. "She can really bring it. She's full of ideas, she never misses a note and the band is badass." The song "Cottonfields" is a big part of what made this record what it is," Donna says of the title song. "It's roots music, a powerful type of folk literature. Woven into the song are themes of empowerment, freedom, spirituality, the importance of preserving traditions and cultures. 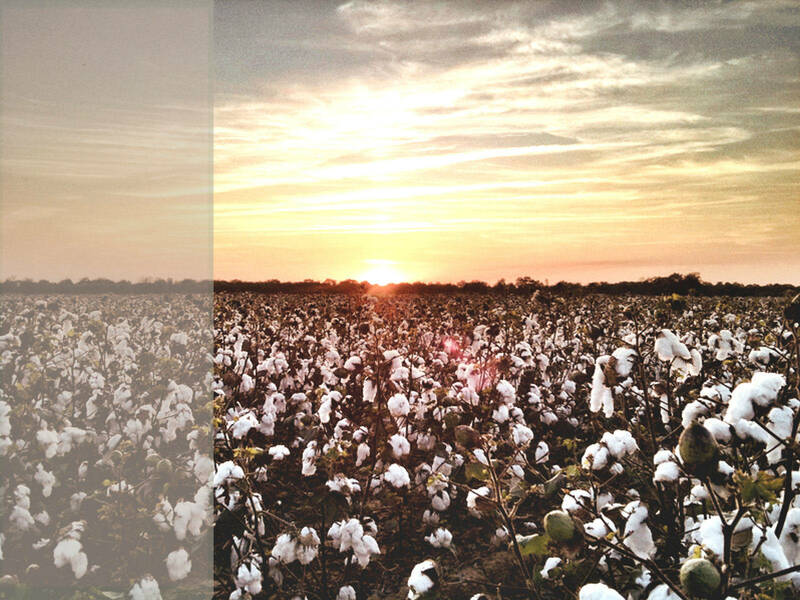 The new album "Cottonfields", like the title track, is Authentic American music. It's just like authentic America. It is an intricate mix of primitive music that was brought here by immigrants, wanderers and slaves and was blended into a joyful language that changed the way the world thinks about music. Like others before us, we explore all these influences and add something of our own. The new album "Cottonfields" is the result. "It's been a journey, but Herrick really stepped up to the plate," says Walker. "They have a vision and they stick with it. When I listened to the mixed album, I was blown away by how slammin' and ballsy it turned out. We went way deeper on this one, and it's gonna be incredible to hear live." "The uniqueness of this project comes not from one or multiple sources or backgrounds, rather, a comradery and respect in combining each of our roots, love of music, accompanied with a combination of a well rooted-progressive style that we, as a band, can call our own," says Kerry.